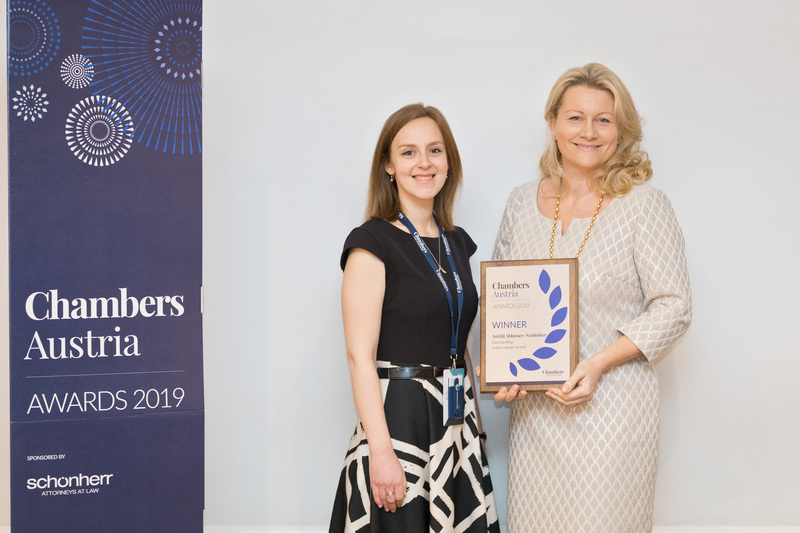 Astrid Ablasser-Neuhuber winner of the renowned “Chambers Award for Outstanding Contribution to the Legal Profession” at the Chamber Forum in Vienna. 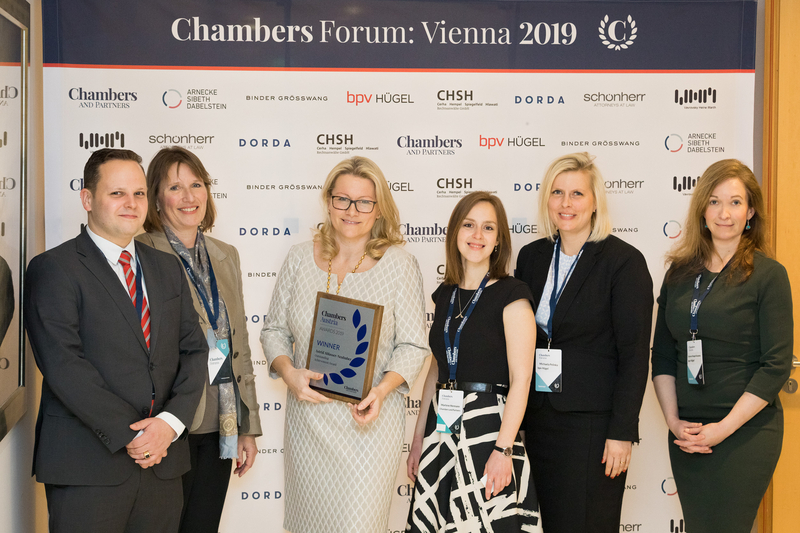 March 25, 2019: Dr. Astrid Ablasser-Neuhuber, Partner and Head of the Antitrust Practice Group at bpv Huegel, was awarded the prize by Chambers & Partners for her “Outstanding Contribution to the Legal Profession” at the Chamber Forum in Vienna. The award recognizes one attorney in each country who has had a significant influence on the market in his or her area of expertise. 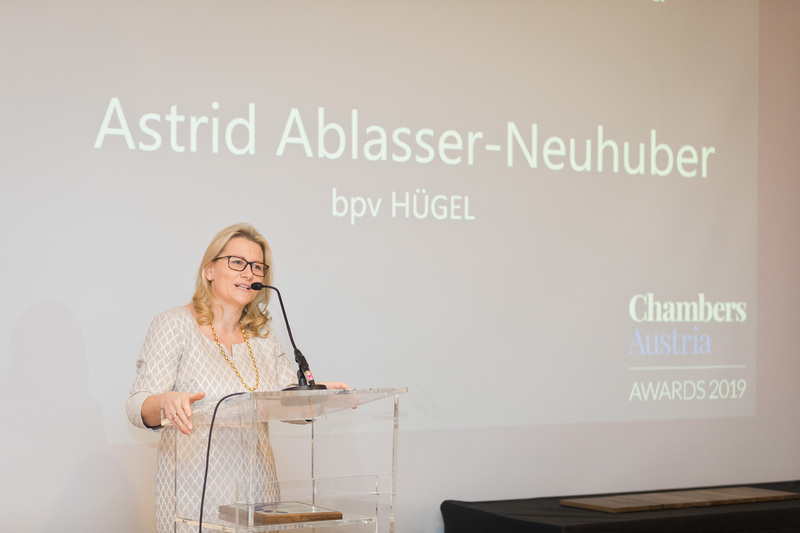 In addition to her “Client Choice Award”, “International Women Award 40 in their 40ies,” and Band 1 Chambers ranking, this is the fourth award for Astrid Ablasser-Neuhuber this year. Chambers describes Dr. Ablasser-Neuhuber as “a leading individual in Austria on EU and national competition matters“, “with an outstanding reputation“, leading “high-profile matters”, and earning “respect and influence from market leaders in an array of industries” as well as “domestic and international authorities“. Over the past 29 years, Chambers and Partners has dedicated itself to finding and ranking the best lawyers in the world. In addition, Chambers also organizes a series of world-class legal events dedicated to promoting excellence throughout the legal market.